This entry was posted in photography and tagged botany, Flowers, gardening, Martin Drury, travel photography. Bookmark the permalink. 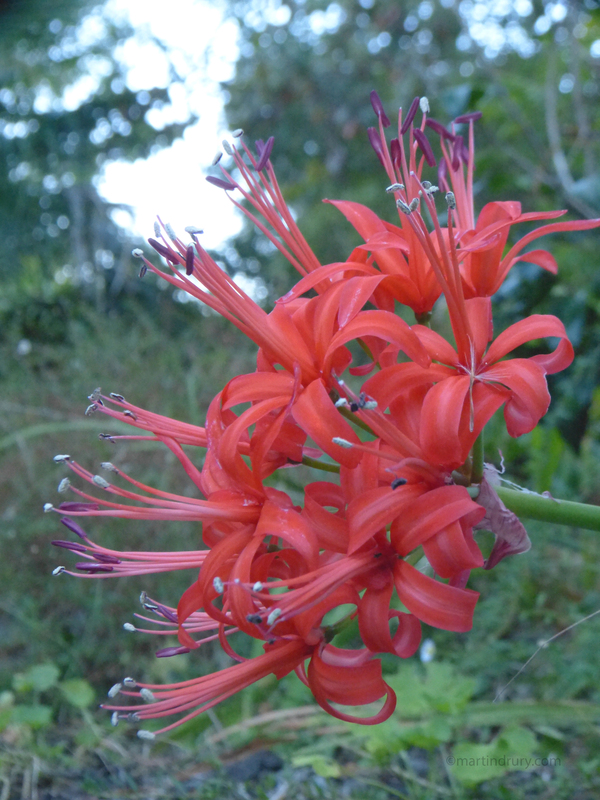 Apparently it is Nerine sarniensis! We grow Nerines here in the UK where most are tender or only borderline hardy. N. bowdenii is the most common with pretty pink flowers. The one you have photographed is a much stronger colour – beautiful!